LARGO — Maureen Freaney, the head of Pinellas County Animal Services, says she's leaving the job and county government because she's decided to move in a new direction. "I made a two-year commitment to county administration to direct Animal Services, help stabilize the department, and ensure implementation of best practices, " Freaney wrote Thursday in her resignation letter. "As that personal and professional commitment comes to a close, I am proud of what the Animal Services team has accomplished within this time frame. "Although I have decided to move in a different direction, I do want to recognize and thank the Animal Services team." Freaney, 58, repeated those sentiments in an email she sent Thursday evening to Animal Services volunteers. She attached a list of accomplishments made during her two-year tenure. High on the list was the shelter's selection last month as the outstanding agency of the year for 2014 by the Florida Animal Control Association and the naming of Pinellas animal control Officer Jodey Stambaugh as the animal control officer of the year. Despite saying she wants to move in a different direction, Freaney said Friday that she has no solid plans for her future other than taking some down time for herself. Her tenure at Animal Services, she said, was personally and professionally challenging. "It was much more challenging than I could ever have imagined, " she said. Pinellas County Administrator Mark Woodard said he was not entirely surprised by Frea­ney's decision. He had heard a couple of weeks ago, he said, that she was thinking of retiring. "From my perspective, Moe has done an excellent job, " Woodard said. 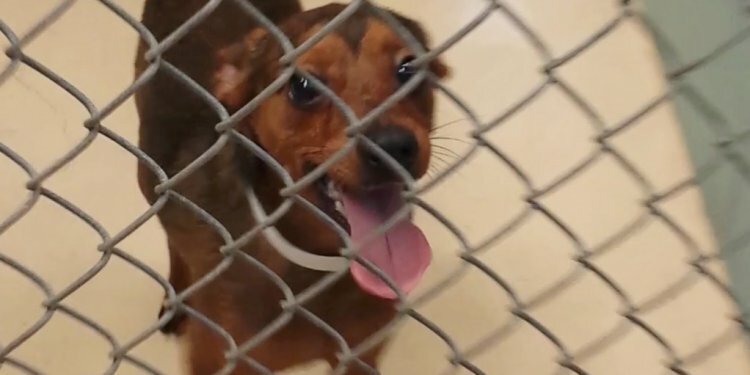 He cited statistics showing the number of adoptions are up and strong partnerships with other animal welfare agencies in Pinellas such as the SPCA Tampa Bay as recent successes. Animal Services is one of the county's highest-profile departments with an overall budget of about $4.9 million, according to county records. Located in Largo, it runs the largest open-admission shelter for dogs and cats in Pinellas. It's also responsible for rabies control, animal bite investigations, dangerous dog investigations, pet licensing, kennel permitting, code enforcement, and cruelty investigations. It also provides pet adoptions. Last year, Animal Services took in 12, 908 dogs and cats. It has about 53 employees. County Commissioner Ken Welch said Friday that Freaney has taken on some tough assignments during her 8½ years with the county, from being the administrator over health and human services and the emergency medical services system to heading Animal Services' daily operations. "She has always approached those with integrity and professionalism, " Welch said. "I am appreciative for her service." Martha Boden, CEO of the SPCA, said, "It's good for her. It's a wonderful life change for her. (But) it's sad."